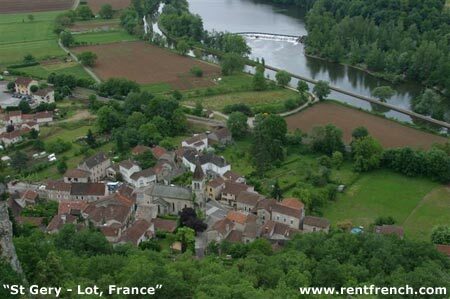 The House has a central, location in the small and peaceful village of St Gery - Lot Region, France. 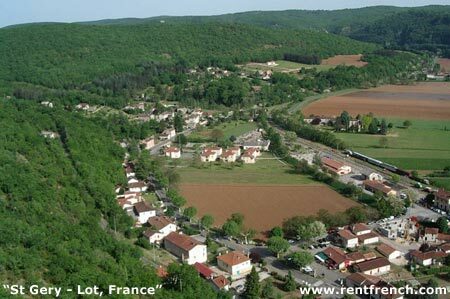 St Gery (46330 Saint Gery) is a small French village located in the Lot Department in the broader Midi Pyrenees Region of France. 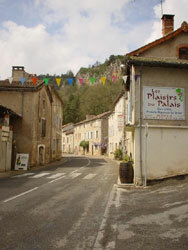 The Village is about 1.5 hours north of Toulouse and 20 minutes east of Cahors on the road between Vers and St Cirq Lapopie. St Gery is a typical French village with predominately stone houses with grey shutters– architecture typical of the region. The village is on the River Lot and is surrounded by limestone cliffs which present a picturesque backdrop to your stay. Staying in this house in the village of St Gery makes a great choice for those who are wanting French accommodation whilst they travel and explore the surrounding French regions. Because there is so much to see and do in the area, it is an ideal location for a stay of several weeks. "What a fantastic 3 weeks we have had exploring the coun tryside of south west France and using St Gery as our base"
St Gery is a small yet well equipped village with a doctor, dentist, pharmacy, boulangerie, café with a restaurant and a small but well equipped general store. "Such a beautiful french village! it was as though we had stepped into an enchanted story book, we loved our holiday in France!" Sunday is market day in the Village where you can wander around and interact with the locals. All your needs for fresh produce can be met. You can buy meat (particularly lamb, duck and corn-fed chicken), eggs, fresh fruit, fresh vegetables and interesting local French delicacies such as walnut cake & cabacou cheeses (a melt-in-your-mouth goats milk cheese that tastes fantastic on French bread with a little of the locally produced honey on top...Yum!). You can also purchase the local Cahors red wine direct from the wine maker himself! 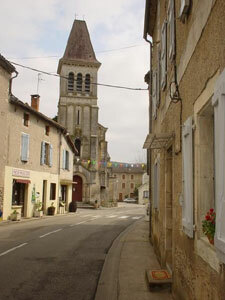 The Village of St Gery - Lot Region, France. These photos are looking down on the village from the cliffs surrounding St Gery.